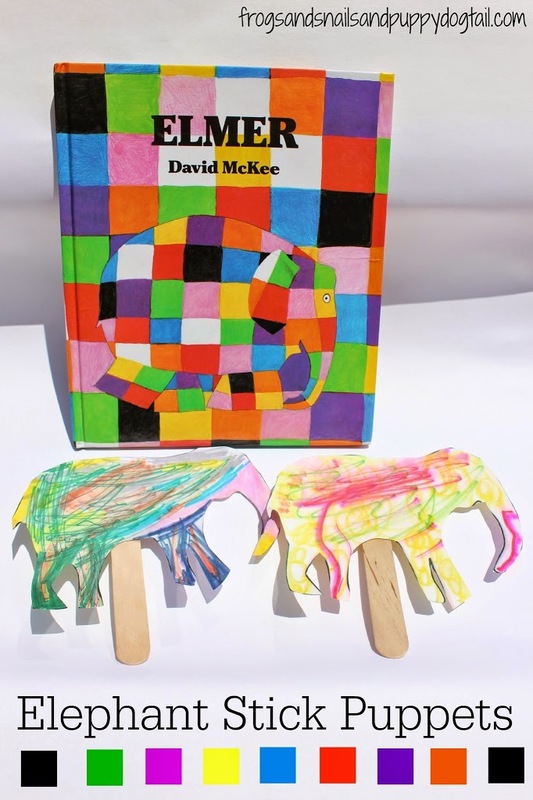 This week’s Preschool Book Club post is inspired by the fun book Elmer by David McKee. This was another new book for us. 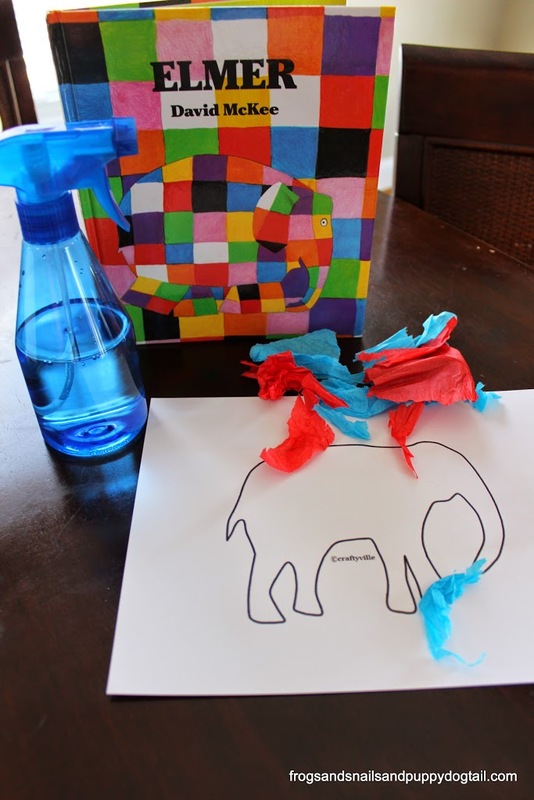 I just loved the story of the colorful elephant who was different from everyone else. 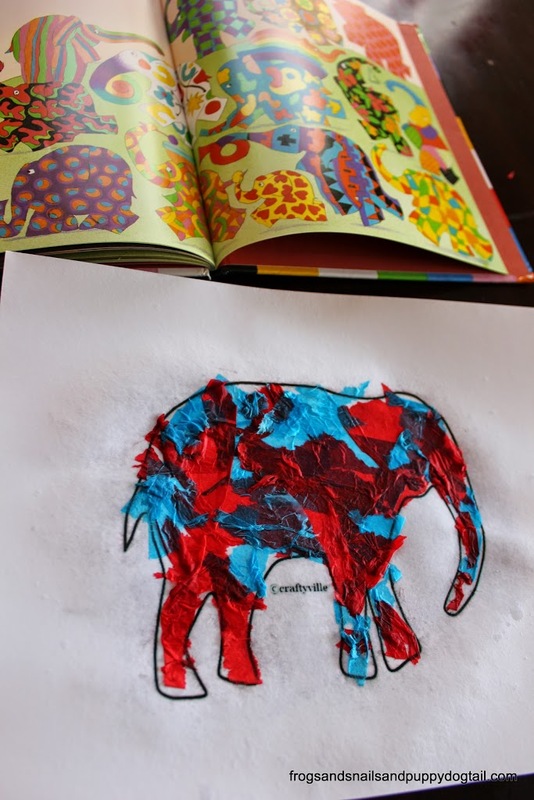 He wanted to be like the rest… One part of the book all the elephants are decorated to be like him. 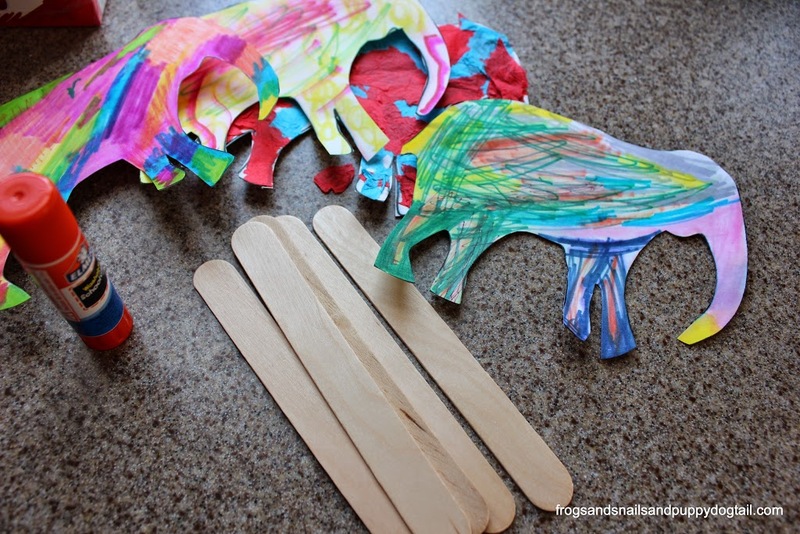 This was my inspiration for Artwork Elephant Stick Puppets as our book activity for the week. 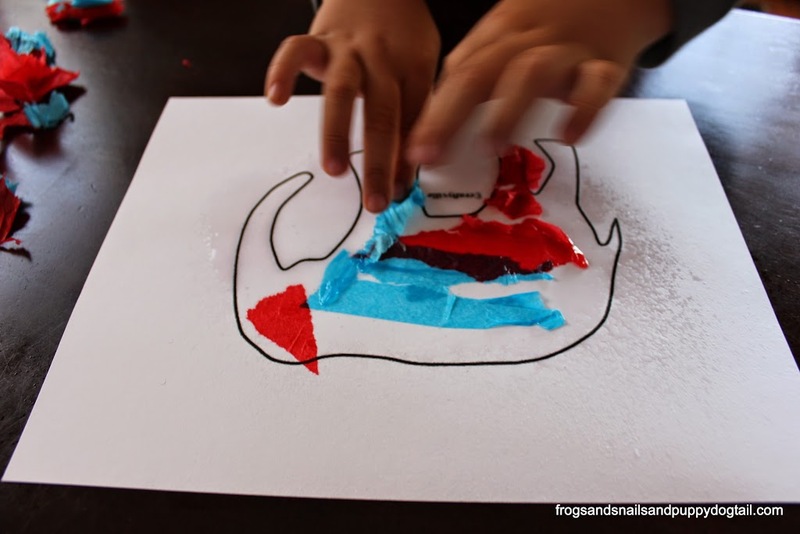 I have wanted to try this Tissue Paper Bleeding Art shared on The Imagination tree for a LONG time. 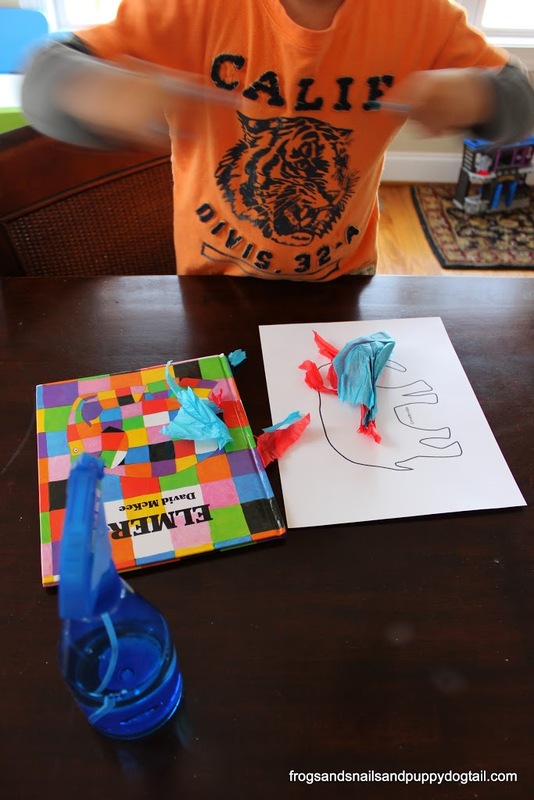 When I decided to make elephant puppets for this book i knew we would try this art technique for a puppet. I printed out several elephant templates on white cardstock. I filled a spray bottle with water. Then had big brother spray his paper until very wet. He had already torn up tissue paper while I was getting a few supplies out for us. He then pressed the bits of tissue paper down on the wet paper. 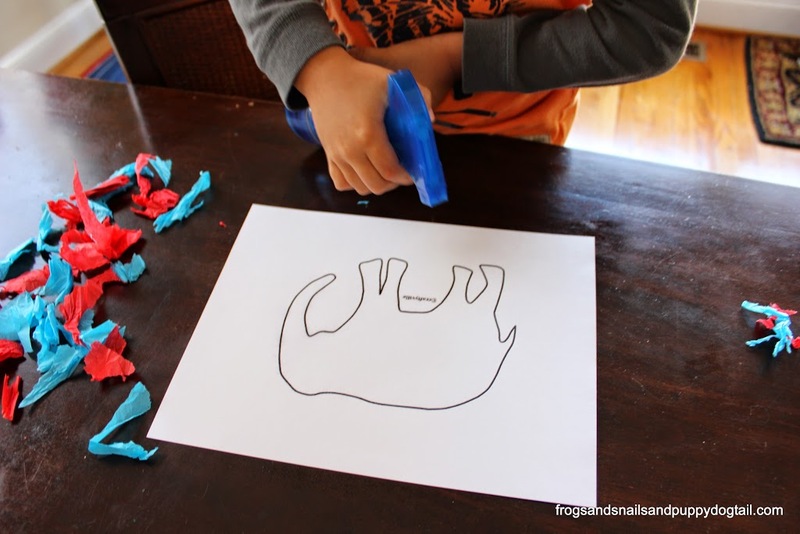 He had to re-spray the paper a few times during this process to get the tissue paper to stick. Then we left it to dry over night. On to the next technique (sharpies and alcohol) we tried out on cardstock for the first time. 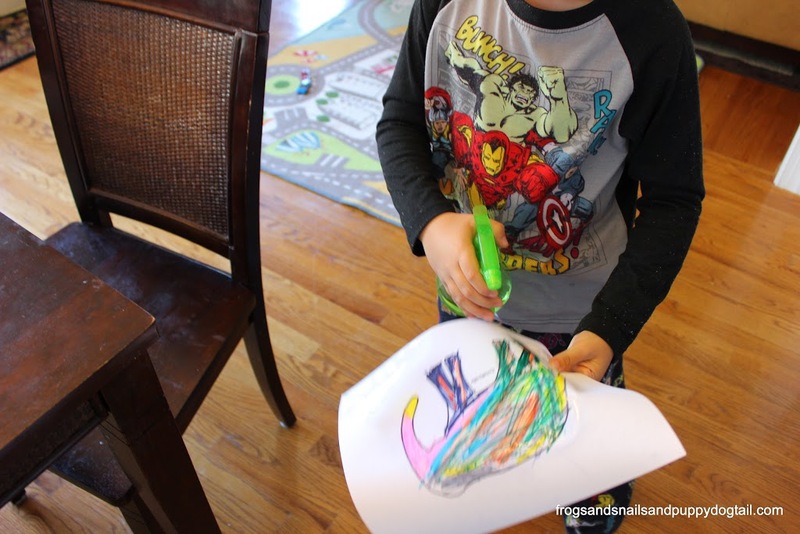 We have done this before on coffee filters (never blogged this, not enough time to share it all:). I liked the coffee filter results more but his was fun too. 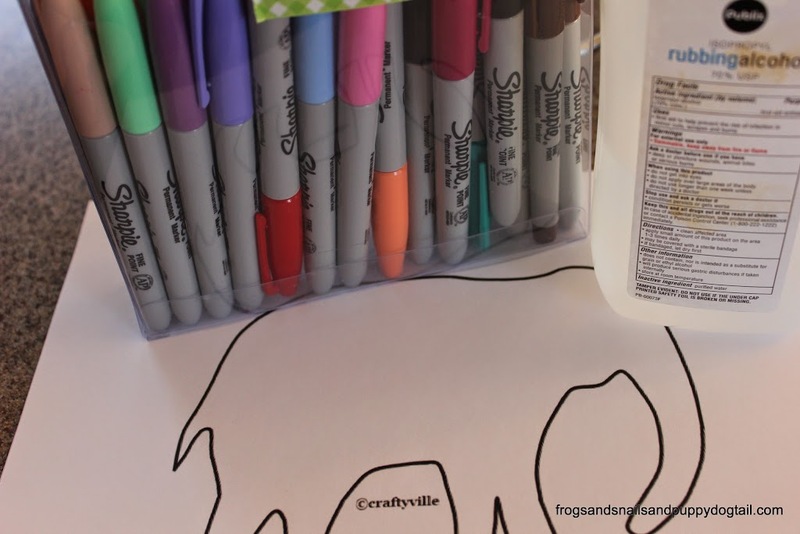 Color the elephants with the sharpies. I filled a spray bottle with alcohol. 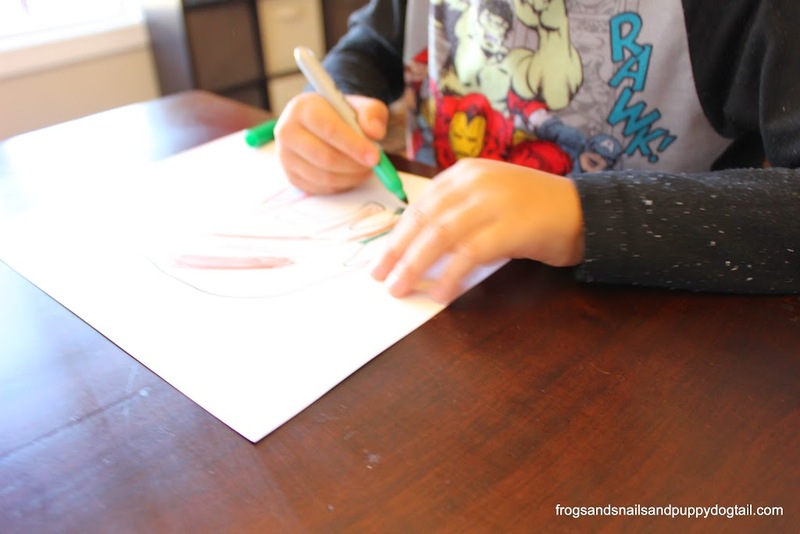 After they got through with the coloring they sprayed alcohol all over the sharpie drawing. We then left them to dry overnight. 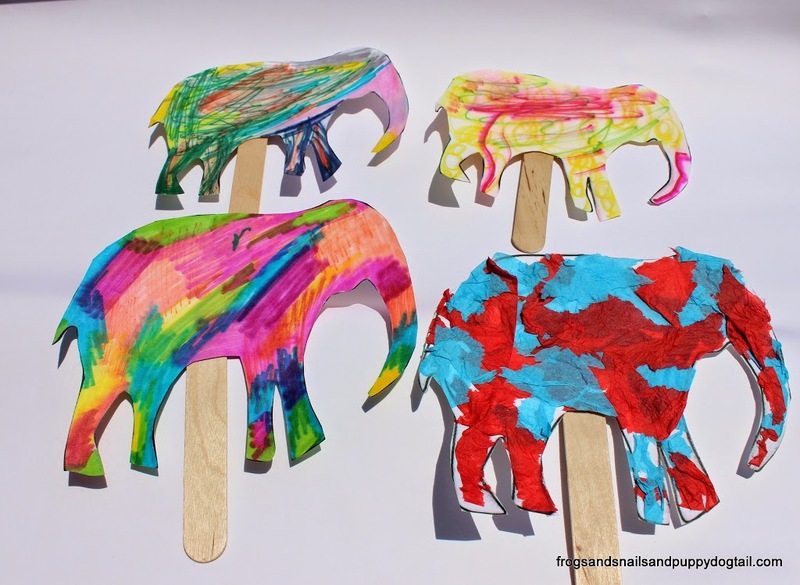 Now, to turn our artwork into Elephant Stick Puppets. Once the pictures were dry I cut them out. Older kids can help with this. 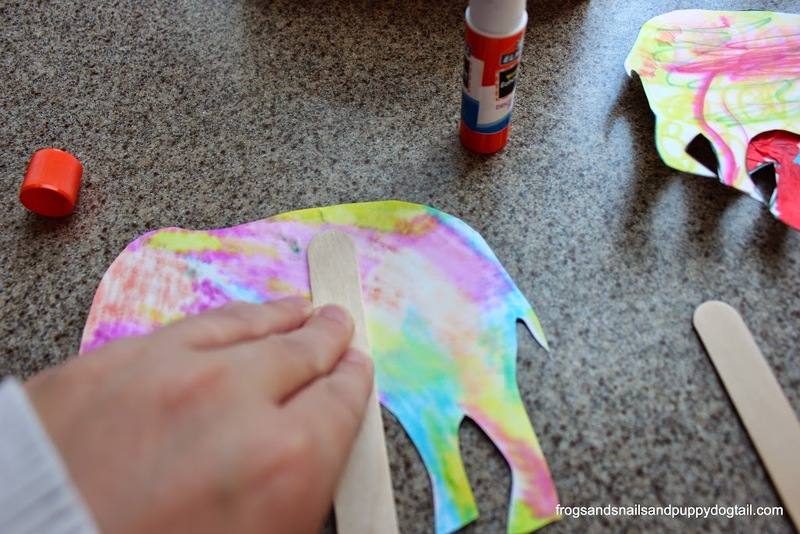 Take the jumbo craft sticks and glue them to the cutouts. Then let dry before giving to the kids. 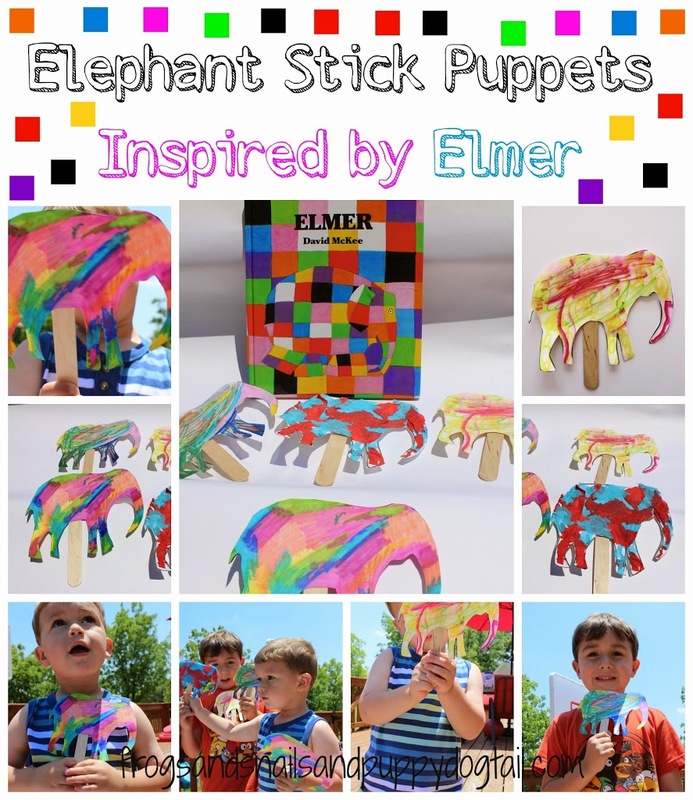 Now we have these cool artwork elephant stick puppets to get out when reading our Elmer Book. Such a great way to incorporate art with storytelling! Love this! So fun Jaime! 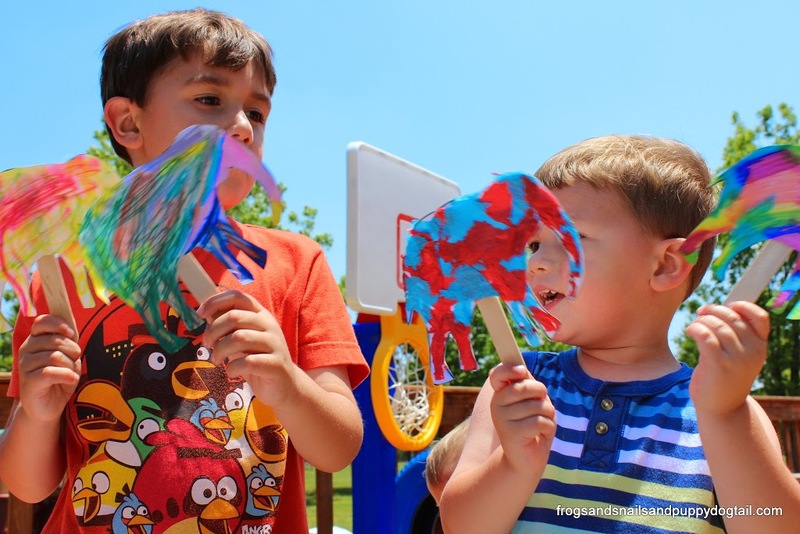 I love the idea of incorporating puppets! Pinning and sharing.